Wayne Trelawney has been fishing with us down on the Umzimkulu periodically. Here he shows off a trophy sized Garrick taken on a trip to Port St. Johns recently. 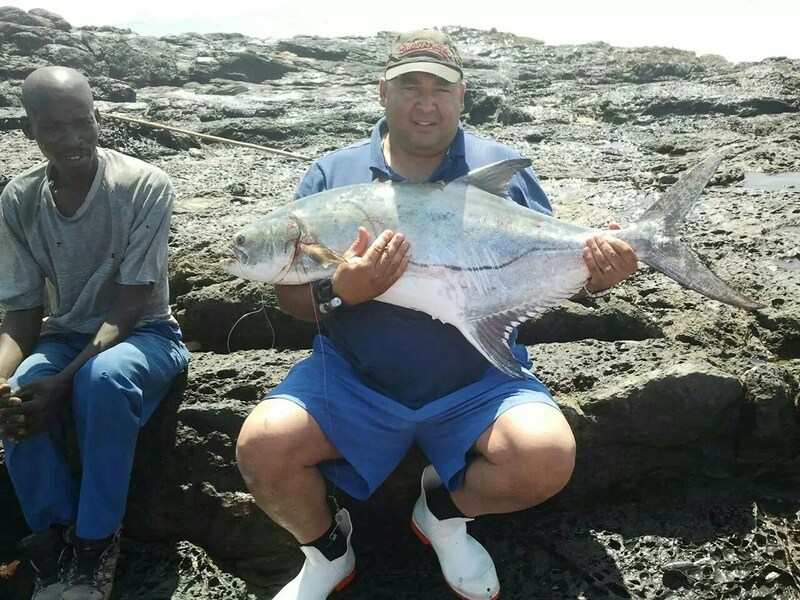 The fishing down in the Transkei has been consistently spectacular lately. Trophy fish of all the most popular edibles have been caught…spotted grunter, kob, garrick, shad…at all the usual good spots. Although it can get windy, it is very quiet and out of season on the Wild Coast right now – a great time to getaway and find your own small corner and catch some fish.